Sintering happens naturally in mineral deposits or as a manufacturing process used with metals, ceramics, plastics, and other materials. The atoms in the materials diffuse across the boundaries of the particles, fusing the particles together and creating one solid piece. Because the sintering temperature does not have to reach the melting point of the material, sintering is often chosen as the shaping process for materials with extremely high melting points such as tungsten and molybdenum. The study of sintering in metallurgy powder-related processes is known as powder metallurgy. An example of sintering can be observed when ice cubes in a glass of water adhere to each other, which is driven by the temperature difference between the water and the ice. Examples of pressure-driven sintering are the compacting of snowfall to a glacier, or the forming of a hard snowball by pressing loose snow together. The word "sinter" comes from the Middle High German sinter, a cognate of English "cinder". Sintering is effective when the process reduces the porosity and enhances properties such as strength, electrical conductivity, translucency and thermal conductivity; yet, in other cases, it may be useful to increase its strength but keep its gas absorbency constant as in filters or catalysts. During the firing process, atomic diffusion drives powder surface elimination in different stages, starting from the formation of necks between powders to final elimination of small pores at the end of the process. The driving force for densification is the change in free energy from the decrease in surface area and lowering of the surface free energy by the replacement of solid-vapor interfaces. It forms new but lower-energy solid-solid interfaces with a total decrease in free energy occurring. On a microscopic scale, material transfer is affected by the change in pressure and differences in free energy across the curved surface. If the size of the particle is small (and its curvature is high), these effects become very large in magnitude. The change in energy is much higher when the radius of curvature is less than a few micrometres, which is one of the main reasons why much ceramic technology is based on the use of fine-particle materials. For properties such as strength and conductivity, the bond area in relation to the particle size is the determining factor. The variables that can be controlled for any given material are the temperature and the initial grain size, because the vapor pressure depends upon temperature. Through time, the particle radius and the vapor pressure are proportional to (p0)2/3 and to (p0)1/3, respectively. The source of power for solid-state processes is the change in free or chemical potential energy between the neck and the surface of the particle. This energy creates a transfer of material through the fastest means possible; if transfer were to take place from the particle volume or the grain boundary between particles, then there would be particle reduction and pore destruction. The pore elimination occurs faster for a trial with many pores of uniform size and higher porosity where the boundary diffusion distance is smaller. For the latter portions of the process, boundary and lattice diffusion from the boundary become important. Control of temperature is very important to the sintering process, since grain-boundary diffusion and volume diffusion rely heavily upon temperature, the size and distribution of particles of the material, the materials composition, and often the sintering environment to be controlled. Sintering at a high temperature to fuse the ceramic particles together. All the characteristic temperatures associated with phase transformation, glass transitions, and melting points, occurring during a sinterisation cycle of a particular ceramics formulation (i.e., tails and frits) can be easily obtained by observing the expansion-temperature curves during optical dilatometer thermal analysis. In fact, sinterisation is associated with a remarkable shrinkage of the material because glass phases flow once their transition temperature is reached, and start consolidating the powdery structure and considerably reducing the porosity of the material. Sintering is performed at high temperature. Additionally, a second and/or third external force (such as pressure, electrical current) could be used. A commonly used second external force is pressure. So, the sintering that is performed just using temperature is generally called "pressureless sintering". Pressureless sintering is possible with graded metal-ceramic composites, with a nanoparticle sintering aid and bulk molding technology. A variant used for 3D shapes is called hot isostatic pressing. To allow efficient stacking of product in the furnace during sintering and prevent parts sticking together, many manufacturers separate ware using ceramic powder separator sheets. These sheets are available in various materials such as alumina, zirconia and magnesia. They are additionally categorized by fine, medium and coarse particle sizes. By matching the material and particle size to the ware being sintered, surface damage and contamination can be reduced while maximizing furnace loading. where D is the density, E is Young's modulus and d is the maximum density of iron. Sintering is static when a metal powder under certain external conditions may exhibit coalescence, and yet reverts to its normal behavior when such conditions are removed. In most cases, the density of a collection of grains increases as material flows into voids, causing a decrease in overall volume. Mass movements that occur during sintering consist of the reduction of total porosity by repacking, followed by material transport due to evaporation and condensation from diffusion. In the final stages, metal atoms move along crystal boundaries to the walls of internal pores, redistributing mass from the internal bulk of the object and smoothing pore walls. Surface tension is the driving force for this movement. A special form of sintering (which is still considered part of powder metallurgy) is liquid-state sintering in which at least one but not all elements are in a liquid state. Liquid-state sintering is required for making cemented carbide and tungsten carbide. Sintered bronze in particular is frequently used as a material for bearings, since its porosity allows lubricants to flow through it or remain captured within it. Sintered copper may be used as a wicking structure in certain types of heat pipe construction, where the porosity allows a liquid agent to move through the porous material via capillary action. For materials that have high melting points such as molybdenum, tungsten, rhenium, tantalum, osmium and carbon, sintering is one of the few viable manufacturing processes. In these cases, very low porosity is desirable and can often be achieved. Sintered metal powder is used to make frangible shotgun shells called breaching rounds, as used by military and SWAT teams to quickly force entry into a locked room. These shotgun shells are designed to destroy door deadbolts, locks and hinges without risking lives by ricocheting or by flying on at lethal speed through the door. They work by destroying the object they hit and then dispersing into a relatively harmless powder. Sintered bronze and stainless steel are used as filter materials in applications requiring high temperature resistance while retaining the ability to regenerate the filter element. For example, sintered stainless steel elements are employed for filtering steam in food and pharmaceutical applications, and sintered bronze in aircraft hydraulic systems. Sintering of powders containing precious metals such as silver and gold is used to make small jewelry items. Capability to produce materials of controlled, uniform porosity. Capability to produce nearly net-shaped objects. Capability to produce materials which cannot be produced by any other technology. Capability to fabricate high-strength material like turbine blades. After sintering the mechanical strength to handling becomes higher. The literature contains many references on sintering dissimilar materials to produce solid/solid-phase compounds or solid/melt mixtures at the processing stage. Almost any substance can be obtained in powder form, through either chemical, mechanical or physical processes, so basically any material can be obtained through sintering. When pure elements are sintered, the leftover powder is still pure, so it can be recycled. 100% sintered (iron ore) cannot be charged in the blast furnace. Sintering cannot create uniform sizes. Micro- and nano-structures produced before sintering are often destroyed. Plastic materials are formed by sintering for applications that require materials of specific porosity. Sintered plastic porous components are used in filtration and to control fluid and gas flows. Sintered plastics are used in applications requiring caustic fluid separation processes such as the nibs in whiteboard markers, inhaler filters, and vents for caps and liners on packaging materials. Sintered ultra high molecular weight polyethylene materials are used as ski and snowboard base materials. The porous texture allows wax to be retained within the structure of the base material, thus providing a more durable wax coating. Rearrangement – As the liquid melts capillary action will pull the liquid into pores and also cause grains to rearrange into a more favorable packing arrangement. Solution-Precipitation – In areas where capillary pressures are high (particles are close together) atoms will preferentially go into solution and then precipitate in areas of lower chemical potential where particles are not close or in contact. This is called "contact flattening". This densifies the system in a way similar to grain boundary diffusion in solid state sintering. Ostwald ripening will also occur where smaller particles will go into solution preferentially and precipitate on larger particles leading to densification. Final Densification – densification of solid skeletal network, liquid movement from efficiently packed regions into pores. For liquid phase sintering to be practical the major phase should be at least slightly soluble in the liquid phase and the additive should melt before any major sintering of the solid particulate network occurs, otherwise rearrangement of grains will not occur. Liquid phase sintering was successfully applied to improve grain growth of thin semiconductor layers from nanoparticle precursor films. These techniques employ electric currents to drive or enhance sintering. English engineer A. G. Bloxam registered in 1906 the first patent on sintering powders using direct current in vacuum. The primary purpose of his inventions was the industrial scale production of filaments for incandescent lamps by compacting tungsten or molybdenum particles. The applied current was particularly effective in reducing surface oxides that increased the emissivity of the filaments. In 1913, Weintraub and Rush patented a modified sintering method which combined electric current with pressure. The benefits of this method were proved for the sintering of refractory metals as well as conductive carbide or nitride powders. The starting boron–carbon or silicon–carbon powders were placed in an electrically insulating tube and compressed by two rods which also served as electrodes for the current. The estimated sintering temperature was 2000 °C. In the United States, sintering was first patented by Duval d’Adrian in 1922. His three-step process aimed at producing heat-resistant blocks from such oxide materials as zirconia, thoria or tantalia. The steps were: (i) molding the powder; (ii) annealing it at about 2500 °C to make it conducting; (iii) applying current-pressure sintering as in the method by Weintraub and Rush. Sintering that uses an arc produced via a capacitance discharge to eliminate oxides before direct current heating, was patented by G. F. Taylor in 1932. This originated sintering methods employing pulsed or alternating current, eventually superimposed to a direct current. Those techniques have been developed over many decades and summarized in more than 640 patents. Of these technologies the most well known is resistance sintering (also called hot pressing) and spark plasma sintering, while electro sinter forging is the latest advancement in this field. In spark plasma sintering (SPS), external pressure and an electric field are applied simultaneously to enhance the densification of the metallic/ceramic powder compacts. However, after commercialization it was determined there is no plasma, so the proper name is spark sintering as coined by Lenel. The electric field driven densification supplements sintering with a form of hot pressing, to enable lower temperatures and shorter amount of time than typical sintering. For a number of years, it was speculated that the existence of sparks or plasma between particles could aid sintering; however, Hulbert and coworkers systematically proved that the electric parameters used during spark plasma sintering make it (highly) unlikely. In light of this, the name "spark plasma sintering" has been rendered obsolete. Terms such as "Field Assisted Sintering Technique" (FAST), "Electric Field Assisted Sintering" (EFAS), and Direct Current Sintering (DCS) have been implemented by the sintering community. Using a DC pulse as the electric current, spark plasma, spark impact pressure, joule heating, and an electrical field diffusion effect would be created. By modifying the graphite die design and its assembly, it was demonstrated to create Pressureless sintering condition in spark plasma sintering facility. This modified die design setup is reported to synergize the advantages of both conventional pressureless sintering and spark plasma sintering techniques. Electro sinter forging is an electric current assisted sintering (ECAS) technology originated from capacitor discharge sintering. It is used for the production of diamond metal matrix composites and under evaluation for the production of hard metals, nitinol and other metals and intermetallics. It is characterized by a very low sintering time allowing machines to sinter at the same speed as a compaction press. Pressureless sintering is the sintering of a powder compact (sometimes at very high temperatures, depending on the powder) without applied pressure. This avoids density variations in the final component, which occurs with more traditional hot pressing methods. The powder compact (if a ceramic) can be created by slip casting, injection moulding, and cold isostatic pressing. After pre-sintering, the final green compact can be machined to its final shape before sintered. Three different heating schedules can be performed with pressureless sintering: constant-rate of heating (CRH), rate-controlled sintering (RCS), and two-step sintering (TSS). The microstructure and grain size of the ceramics may vary depending on the material and method used. Constant-rate of heating (CRH), also known as temperature-controlled sintering, consists of heating the green compact at a constant rate up to the sintering temperature. Experiments with zirconia have been performed to optimize the sintering temperature and sintering rate for CRH method. Results showed that the grain sizes were identical when the samples were sintered to the same density, proving that grain size is a function of specimen density rather than CRH temperature mode. In rate-controlled sintering (RCS), the densification rate in the open-porosity phase is lower than in the CRH method. By definition, the relative density, ρrel, in open-porosity phase is lower than 90%. Although this should prevent separation of pores from grain boundaries, it has been proven statistically that RCS did not produce smaller grain sizes than CRH for alumina, zirconia, and ceria samples. Two-step sintering (TSS) uses two different sintering temperatures. The first sintering temperature should guarantee a relative density higher than 75% of theoretical sample density. This will remove supercritical pores from the body. The sample will then be cooled down and held at the second sintering temperature until densification is completed. Grains of cubic zirconia and cubic strontium titanate were significantly refined by TSS compared to CRH. However, the grain size changes in other ceramic materials, like tetragonal zirconia and hexagonal alumina, were not statistically significant. In microwave sintering, heat is sometimes generated internally within the material, rather than via surface radiative heat transfer from an external heat source. Some materials fail to couple and others exhibit run-away behavior, so it is restricted in usefulness. A benefit of microwave sintering is faster heating for small loads, meaning less time is needed to reach the sintering temperature, less heating energy required and improvements in the product properties. A failing of microwave sintering is that it generally sinters only one compact at a time, so overall productivity turns out to be poor except for situations involving one of a kind sintering, such as for artists. As microwaves can only penetrate a short distance in materials with a high conductivity and a high permeability, microwave sintering requires the sample to be delivered in powders with a particle size around the penetration depth of microwaves in the particular material. The sintering process and side-reactions run several times faster during microwave sintering at the same temperature, which results in different properties for the sintered product. Sintering in practice is the control of both densification and grain growth. Densification is the act of reducing porosity in a sample thereby making it more dense. Grain growth is the process of grain boundary motion and Ostwald ripening to increase the average grain size. Many properties (mechanical strength, electrical breakdown strength, etc.) benefit from both a high relative density and a small grain size. Therefore, being able to control these properties during processing is of high technical importance. Since densification of powders requires high temperatures, grain growth naturally occurs during sintering. Reduction of this process is key for many engineering ceramics. For densification to occur at a quick pace it is essential to have (1) an amount of liquid phase that is large in size, (2) a near complete solubility of the solid in the liquid, and (3) wetting of the solid by the liquid. The power behind the densification is derived from the capillary pressure of the liquid phase located between the fine solid particles. When the liquid phase wets the solid particles, each space between the particles becomes a capillary in which a substantial capillary pressure is developed. For submicrometre particle sizes, capillaries with diameters in the range of 0.1 to 1 micrometres develop pressures in the range of 175 pounds per square inch (1,210 kPa) to 1,750 pounds per square inch (12,100 kPa) for silicate liquids and in the range of 975 pounds per square inch (6,720 kPa) to 9,750 pounds per square inch (67,200 kPa) for a metal such as liquid cobalt. Densification requires constant capillary pressure where just solution-precipitation material transfer would not produce densification. For further densification, additional particle movement while the particle undergoes grain-growth and grain-shape changes occurs. Shrinkage would result when the liquid slips between particles and increase pressure at points of contact causing the material to move away from the contact areas forcing particle centers to draw near each other. The sintering of liquid-phase materials involves a fine-grained solid phase to create the needed capillary pressures proportional to its diameter and the liquid concentration must also create the required capillary pressure within range, else the process ceases. The vitrification rate is dependent upon the pore size, the viscosity and amount of liquid phase present leading to the viscosity of the overall composition, and the surface tension. Temperature dependence for densification controls the process because at higher temperatures viscosity decreases and increases liquid content. Therefore, when changes to the composition and processing are made, it will affect the vitrification process. Also one must distinguish between densifying and non-densifying mechanisms. 1–3 above are non-densifying – they take atoms from the surface and rearrange them onto another surface or part of the same surface. These mechanisms simply rearrange matter inside of porosity and do not cause pores to shrink. Mechanisms 4–6 are densifying mechanisms – atoms are moved from the bulk to the surface of pores thereby eliminating porosity and increasing the density of the sample. A grain boundary(GB) is the transition area or interface between adjacent crystallites (or grains) of the same chemical and lattice composition, not to be confused with a phase boundary. The adjacent grains do not have the same orientation of the lattice thus giving the atoms in GB shifted positions relative to the lattice in the crystals. Due to the shifted positioning of the atoms in the GB they have a higher energy state when compared with the atoms in the crystal lattice of the grains. It is this imperfection that makes it possible to selectively etch the GBs when one wants the microstructure visible. Striving to minimize its energy leads to the coarsening of the microstructure to reach a metastable state within the specimen. This involves minimizing its GB area and changing its topological structure to minimize its energy. This grain growth can either be normal or abnormal, a normal grain growth is characterized by the uniform growth and size of all the grains in the specimen. Abnormal grain growth is when a few grains grow much larger than the remaining majority.
. The grain will want to minimize this extra energy thus striving to make the grain boundary area smaller and this change requires energy. holds true. For solids, on the other hand, diffusion of atoms to the surface might not be sufficient and the surface tension can vary with an increase in surface area. since they are different physical properties. In a two-dimensional isotropic material the grain boundary tension would be the same for the grains. This would give angle of 120° at GB junction where three grains meet. This would give the structure a hexagonal pattern which is the metastable state (or mechanical equilibrium) of the 2D specimen. A consequence of this is that to keep trying to be as close to the equilibrium as possible. Grains with fewer sides than six will bend the GB to try keep the 120° angle between each other. This results in a curved boundary with its curvature towards itself. A grain with six sides will, as mentioned, have straight boundaries while a grain with more than six sides will have curved boundaries with its curvature away from itself. A grain with six boundaries (i.e. hexagonal structure) are in a metastable state (i.e. local equilibrium) within the 2D structure. In three dimensions structural details are similar but much more complex and the metastable structure for a grain is a non-regular 14-sided polyhedra with doubly curved faces. In practice all arrays of grains are always unstable and thus always grows until its prevented by a counterforce. Grains strive to minimize their energy, and a curved boundary has a higher energy than a straight boundary. This means that the grain boundary will migrate towards the curvature. [clarification needed] The consequence of this is that grains with less than 6 sides will decrease in size while grains with more than 6 sides will increase in size. Grain growth occurs due to motion of atoms across a grain boundary. Convex surfaces have a higher chemical potential than concave surfaces therefore grain boundaries will move toward their center of curvature. As smaller particles tend to have a higher radius of curvature and this results in smaller grains losing atoms to larger grains and shrinking. This is a process called Ostwald ripening. Large grains grow at the expense of small grains. Here Q is the molar activation energy, R is the ideal gas constant, T is absolute temperature, and K0 is a material dependent factor. In most materials the sintered grain size is proportion to the inverse square root of the fractional porosity, implying that pores are the most effective retardant for grain growth during sintering. If a dopant is added to the material (example: Nd in BaTiO3) the impurity will tend to stick to the grain boundaries. As the grain boundary tries to move (as atoms jump from the convex to concave surface) the change in concentration of the dopant at the grain boundary will impose a drag on the boundary. The original concentration of solute around the grain boundary will be asymmetrical in most cases. As the grain boundary tries to move the concentration on the side opposite of motion will have a higher concentration and therefore have a higher chemical potential. This increased chemical potential will act as a backforce to the original chemical potential gradient that is the reason for grain boundary movement. This decrease in net chemical potential will decrease the grain boundary velocity and therefore grain growth. so the critical diameter of the grains is dependent of the size and volume fraction of the particles at the grain boundaries. More complicated interactions which slow grain boundary motion include interactions of the surface energies of the two grains and the inclusion and are discussed in detail by C.S. Smith. In geology a natural sintering occurs when a mineral spring brings about a deposition of chemical sediment or crust, for example as of porous silica. A sinter is a mineral deposit that presents a porous or vesicular texture; its structure shows small cavities. These may be siliceous deposits or calcareous deposits. Siliceous sinter is a deposit of opaline or amorphous silica which appears as incrustations near hot springs and geysers. It sometimes forms conical mounds, called geyser cones, but can also form as a terrace. The main agents responsible for the deposition of siliceous sinter are algae and other vegetation in the water. Altering of wall rocks can also form sinters near fumaroles and in the deeper channels of hot springs. Examples of siliceous sinter are geyserite and fiorite. They can be found in many places, including Iceland, El Tatio geothermal field in Chile, New Zealand, and Yellowstone National Park and Steamboat Springs in the United States. 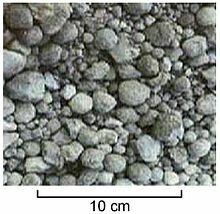 Calcareous sinter is also called tufa, calcareous tufa, or calc-tufa. It is a deposit of calcium carbonate, as with travertine. Called petrifying springs, they are quite common in limestone districts. Their calcareous waters deposit a sintery incrustation on surrounding objects. The precipitation is assisted with mosses and other vegetable structures, thus leaving cavities in the calcareous sinter after they have decayed. Sintering is an important cause for loss of catalyst activity, especially on supported metal catalysts. It decreases the surface area of the catalyst and changes the surface structure. For a porous catalytic surface, the pores may collapse due to sintering, resulting in loss of surface area. Sintering is in general an irreversible process. Small catalyst particles (which have the highest relative surface areas) and a high reaction temperature are in general both factors that increase the reactivity of a catalyst. However, these factors are also the circumstances under which sintering occurs. Specific materials may also increase the rate of sintering. On the other hand, by alloying catalysts with other materials, sintering can be reduced. Rare-earth metals in particular have been shown to reduce sintering of metal catalysts when alloyed. For many supported metal catalysts, sintering starts to become a significant effect at temperatures over 500 °C (932 °F). Catalysts that operate at higher temperatures, such as a car catalyst, use structural improvements to reduce or prevent sintering. These improvements are in general in the form of a support made from an inert and thermally stable material such as silica, carbon or alumina. Selective laser sintering, a rapid prototyping technology, that includes Direct Metal Laser Sintering (DMLS). ^ a b c d e f g Kingery, W. David; Bowen, H. K.; Uhlmann, Donald R. (April 1976). "Introduction to Ceramics" (2nd ed.). John Wiley & Sons, Academic Press. ISBN 0-471-47860-1. ^ "Porex Custom Plastics: Porous Plastics & Porous Polymers". www.porex.com. Retrieved 2017-03-23. ^ Uhl, A.R. ; et al. (2014). "Liquid-selenium-enhanced grain growth of nanoparticle precursor layers for CuInSe2 solar cell absorbers". Prog. Photovoltaics Res. Appl. 23 (9): 1110–1119. doi:10.1002/pip.2529. ^ Orrù, Roberto; Licheri, Roberta; Locci, Antonio Mario; Cincotti, Alberto; Cao, Giacomo (2009). "Materials Science and Engineering: R: Reports : Consolidation/synthesis of materials by electric current activated/assisted sintering". Materials Science and Engineering: R: Reports. 63 (4–6): 127–287. doi:10.1016/j.mser.2008.09.003. ^ a b c d Grasso, S; Sakka, Y; Maizza, G (2009). "Electric current activated/assisted sintering (ECAS): a review of patents 1906–2008". Sci. Technol. Adv. Mater. 10 (5): 053001. doi:10.1088/1468-6996/10/5/053001. PMC 5090538. PMID 27877308. ^ Tuan, W.H. ; Guo, J.K. (2004). "Multiphased ceramic materials: processing and potential". Springer. ISBN 3-540-40516-X. ^ Hulbert, D. M.; et al. (2008). "The Absence of Plasma in' Spark Plasma Sintering'". Journal of Applied Physics. 104: 3305. doi:10.1063/1.2963701. ^ Anselmi-Tamburini, U. et al. in Sintering: Nanodensification and Field Assisted Processes (Castro, R. & van Benthem, K.) (Springer Verlag, 2012). ^ Palmer, R.E. ; Wilde, G. (December 22, 2008). "Mechanical Properties of Nanocomposite Materials". EBL Database: Elsevier Ltd. ISBN 978-0-08-044965-4. ^ Balagna, Cristina; Fais, Alessandro; Brunelli, Katya; Peruzzo, Luca; Horynová, Miroslava; Čelko, Ladislav; Spriano, Silvia (2016). "Electro-sinter-forged Ni–Ti alloy". Intermetallics. 68: 31. doi:10.1016/j.intermet.2015.08.016. ^ a b c d Maca, Karel (2009). "Microstructure evolution during pressureless sintering of bulk oxide ceramics". Processing and Application of Ceramics. 3 (1–2): 13–17. doi:10.2298/pac0902013m. ^ a b Maca, Karl; Simonikova, Sarka (2005). "Effect of sintering schedule on grain size of oxide ceramics". Journal of Materials Science. 40 (21): 5581–5589. doi:10.1007/s10853-005-1332-1. ^ a b Oghbaei, Morteza; Mirzaee, Omid (2010). "Microwave versus conventional sintering: A review of fundamentals, advantages and applications". Journal of Alloys and Compounds. 494 (1–2): 175–189. doi:10.1016/j.jallcom.2010.01.068. ^ Babaie, Elham; Ren, Yufu; Bhaduri, Sarit B. (23 March 2016). "Microwave sintering of fine grained MgP and Mg substitutes with amorphous tricalcium phosphate: Structural, and mechanical characterization". Journal of Materials Research. 31 (8): 995–1003. doi:10.1557/jmr.2016.84. ^ Smallman R. E., Bishop, Ray J (1999). Modern physical metallurgy and materials engineering: science, process, applications. Oxford : Butterworth-Heinemann. ISBN 978-0-7506-4564-5. ^ a b c d e Mittemeijer, Eric J. (2010). Fundamentals of Materials Science The Microstructure–Property Relationship Using Metals as Model Systems. Springer Heidelberg Dordrecht London New York. pp. 463–496. ISBN 978-3-642-10499-2. ^ Kang, Suk-Joong L. (2005). Sintering: Densification, Grain Growth, and Microstructure. Elsevier Ltd. pp. 9–18. ISBN 978-0-7506-6385-4. ^ Carter, C. Barry; Norton, M. Grant (2007). Ceramic Materials: Science and Engineering. Springer Science+Business Media, LLC. pp. 427–443. ISBN 978-0-387-46270-7. ^ Smith, Cyril S. (February 1948). "Introduction to Grains, Phases and Interphases: an Introduction to Microstructure". ^ a b sinter in Encyclopædia Britannica. ^ a b G. Kuczynski (6 December 2012). Sintering and Catalysis. Springer Science & Business Media. ISBN 978-1-4684-0934-5. ^ Bartholomew, Calvin H (2001). "Mechanisms of catalyst deactivation". Applied Catalysis A: General. 212: 17. doi:10.1016/S0926-860X(00)00843-7. ^ Harris, P (1986). "The sintering of platinum particles in an alumina-supported catalyst: Further transmission electron microscopy studies". Journal of Catalysis. 97 (2): 527–542. doi:10.1016/0021-9517(86)90024-2. ^ Figueiredo, J. L. (2012). Progress in Catalyst Deactivation: Proceedings of the NATO Advanced Study Institute on Catalyst Deactivation, Algarve, Portugal, May 18–29, 1981. Springer Science & Business Media. p. 11. ISBN 978-94-009-7597-2. ^ Chorkendorff, I.; Niemantsverdriet, J. W. (6 March 2006). Concepts of Modern Catalysis and Kinetics. John Wiley & Sons. ISBN 978-3-527-60564-4. Chiang, Yet-Ming; Birnie, Dunbar P.; Kingery, W. David (May 1996). "Physical Ceramics: Principles for Ceramic Science and Engineering". John Wiley & Sons. ISBN 0-471-59873-9. Green, D.J. ; Hannink, R.; Swain, M.V. (1989). Transformation Toughening of Ceramics. Boca Raton: CRC Press. ISBN 0-8493-6594-5. German, R.M. (1996). Sintering Theory and Practice. John Wiley & Sons, Inc. ISBN 0-471-05786-X. Kang, Suk-Joong L. (2005). "Sintering" (1st ed.). Oxford: Elsevier, Butterworth Heinemann. ISBN 0-7506-6385-5. Look up sintering in Wiktionary, the free dictionary.